Scientists at the University of Illinois at Urbana-Champaign have developed an algorithm that could provide meaningful answers to condensed matter physicists in their searches for novel and emergent properties in materials. 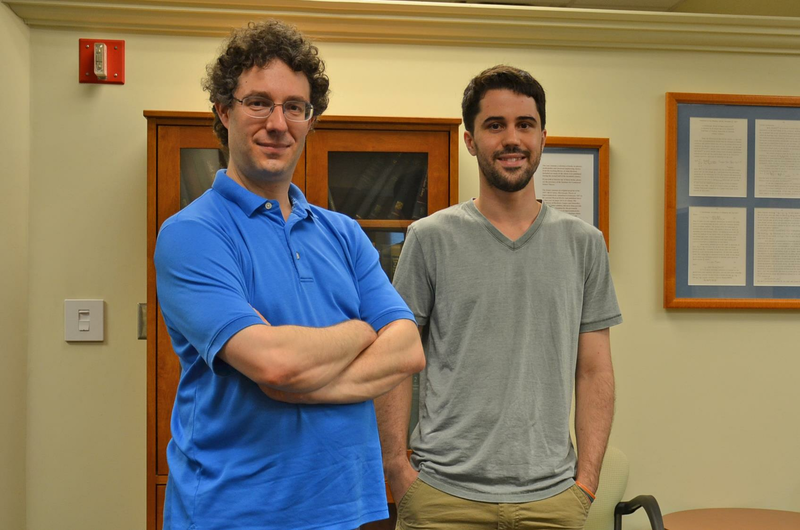 The algorithm, invented by physics professor Bryan Clark and his graduate student Eli Chertkov, inverts the typical mathematical process condensed matter physicists use to search for interesting physics. Their new method starts with the answer—what kinds of physical properties would be interesting to find—and works backward to the question—what class of materials would host such properties. Inverse problem solving isn’t a new technique in classical physics, but this algorithm represents one of the first successful examples of an inverse problem solving method with quantum materials. And it could make searching for interesting physics a more streamlined and deliberate process for many scientists. More physicists are working in condensed matter than any other subfield of physics—the rich diversity of condensed matter systems and phenomena provide ample unsolved problems to explore, from superconductivity and superfluidity to magnetism and topology. Experimentalists probe the macro-and microscopic properties of materials to observe the behavior and interactions of particles in materials under a strict set of controls. Theoretical condensed matter physicists, on the other hand, work to develop mathematical models that predict or explain the fundamental laws that govern these behaviors and interactions. The field of theoretical condensed matter physics has the well-earned reputation for being esoteric and difficult for the lay person to decipher, with its focus on understanding the quantum mechanics of materials. The process of writing and solving condensed matter equations is extremely intricate and meticulous. That process generally starts with a Hamiltonian—a mathematical model that sums up the energies of all the particles in the system. Clark says the algorithm gives a new way to study physical phenomena such as superconductivity. This work was supported by the US Department of Energy Office of Science’s SciDAC program, and is part of the Blue Waters sustained-petascale computing project, which is supported by the National Science Foundation and the State of Illinois. The conclusions presented are those of the researchers and not necessarily those of the funding agencies.